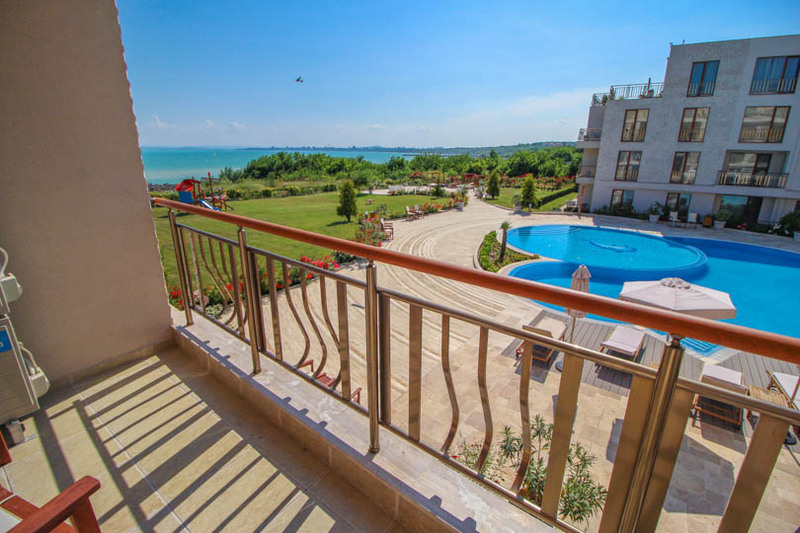 Presenting for sale some luxurious beach-front, completed properties in a beautiful Gated Complexes is in Sarafovo, Burgas. 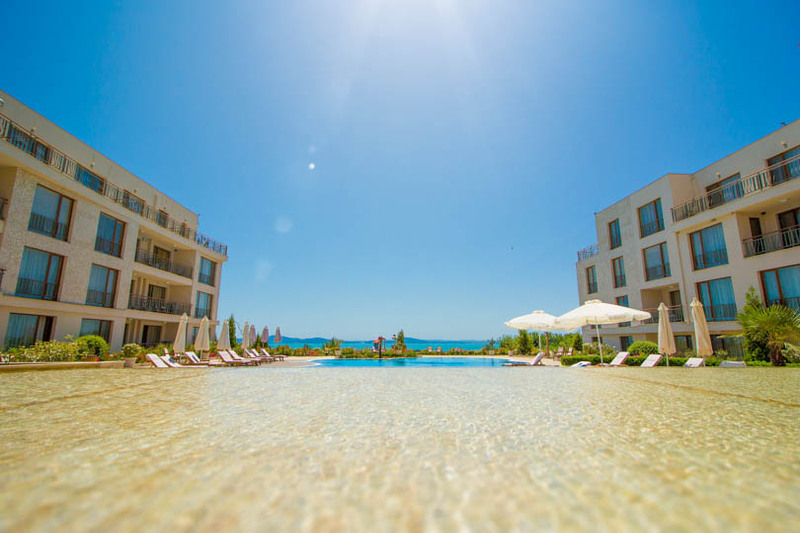 This resort is made up of two buildings wholly oriented south to the sea. They form a П-shaped structure, interlocking between them a beautiful patio with its own infrastructure, rich landscaping and a water mirror. 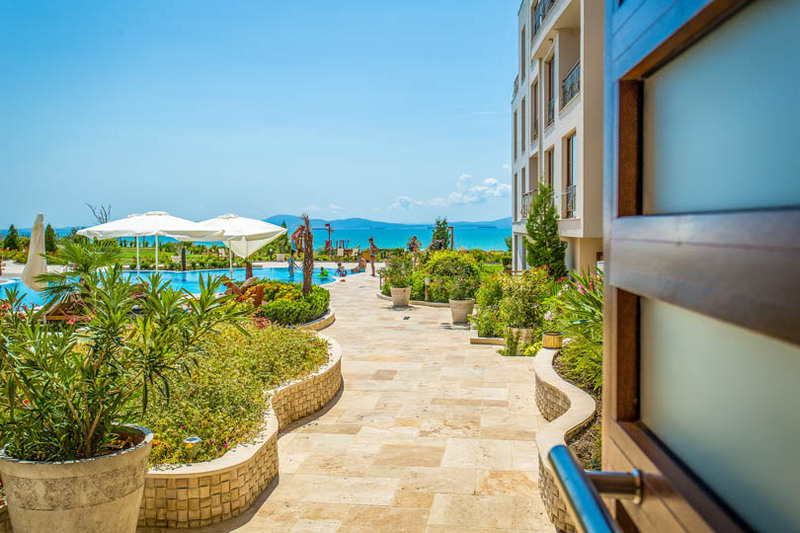 The water mirror reflects the clean lines of the building, the pastel colors of the travertine, the greenery and the sky, creating a sense of tranquility and connection to the nature. 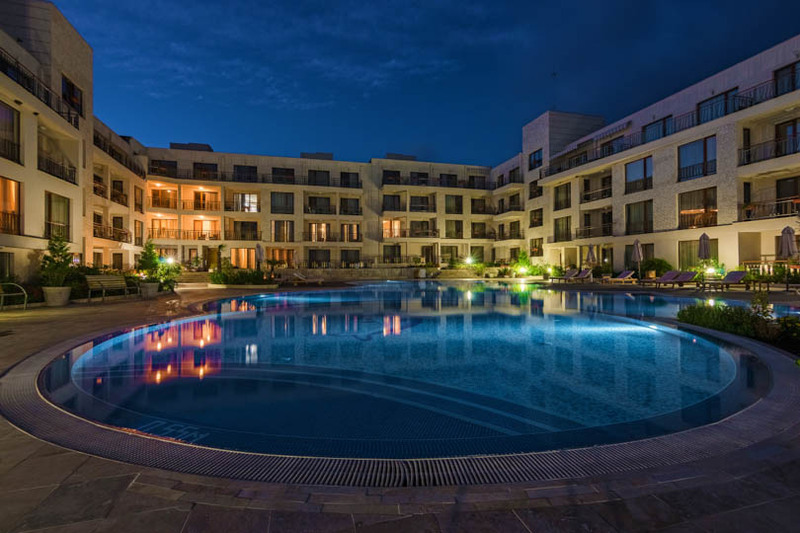 The complex has a remarkable location on a hill, which opens breathtaking views of the whole Bay of Burgas – the biggest Bay on the Bulgarian Black Sea coast. Almost nothing can spoil the wonderful sea view that is revealed in front of your eyes. If you want to go to the beach, a charming wooden ladder takes every lover of the beach to the shore. For the fans of seafood, the first fishing port in Bulgaria is only a step away – you can buy fresh fish directly from the fishermen. 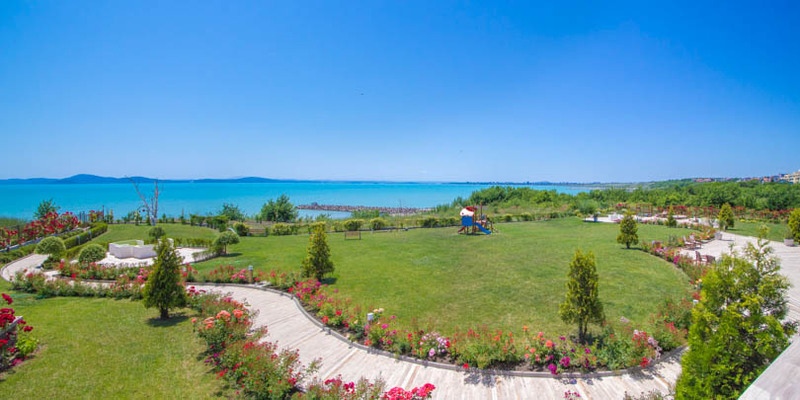 If you long for a walk along the beach or prefer to ride a bicycle, the fishing port connects the coastal pedestrian and bicycle lane to the Sea Garden of Burgas. From there you can reach the very center of the city. 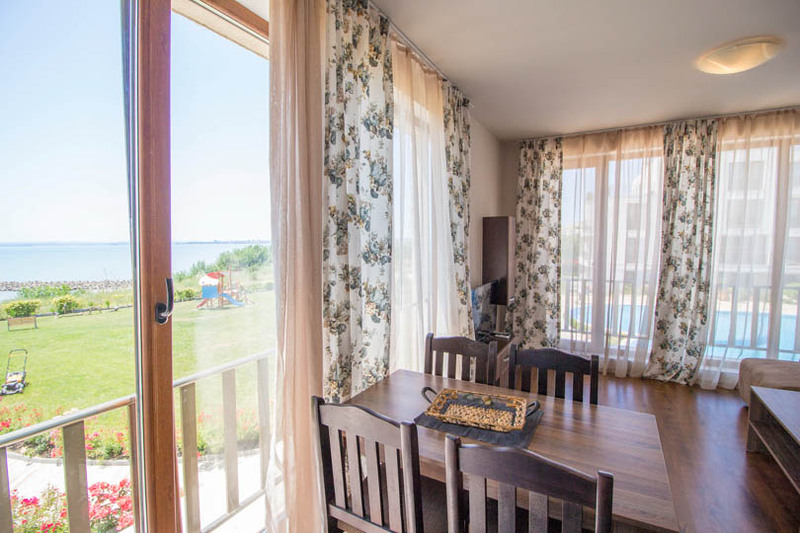 Not far away is the area of “Manastirsko”, between Sarafovo and Pomorie, where the five-star yacht port is located. 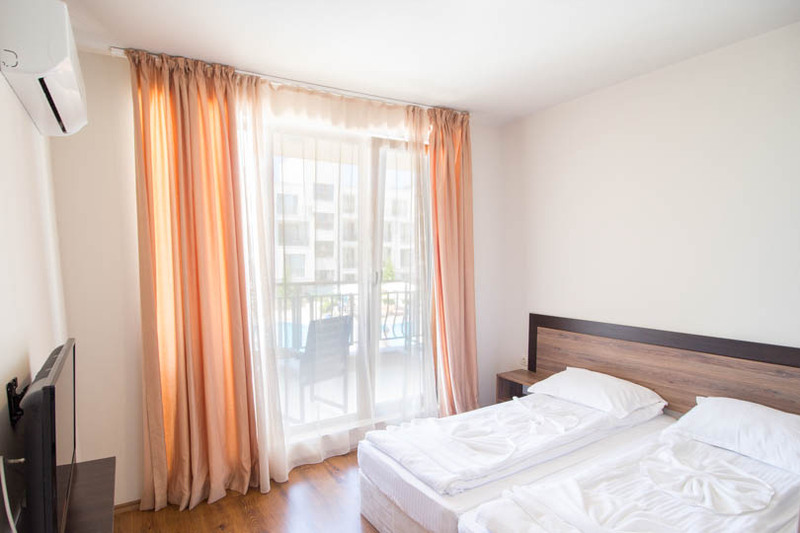 There are one room and one-bedroom apartments in the complex, from which you can choose. 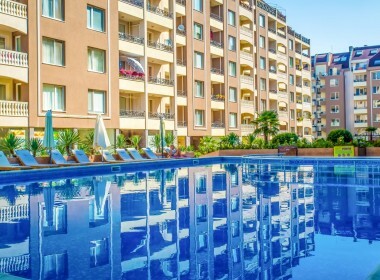 All the apartments in the complex are sold fully furnished. 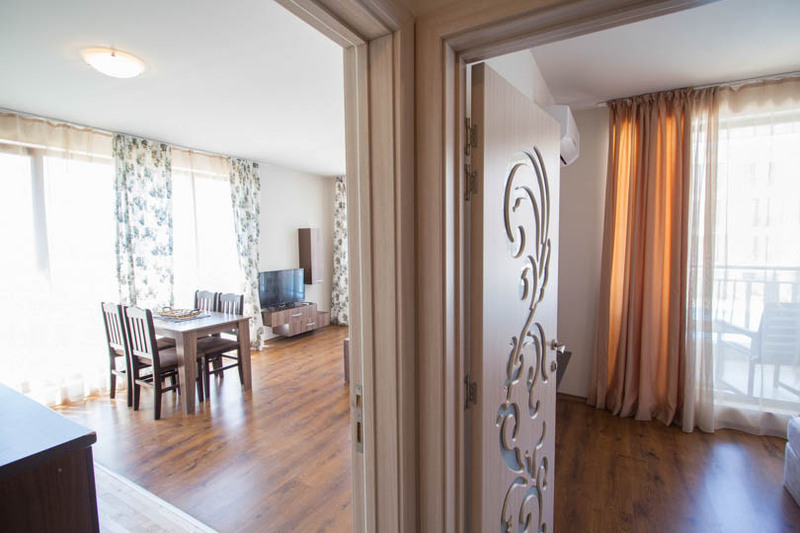 The interior design of the apartments is specially selected and combined to bring a sense of comfort and tranquility. 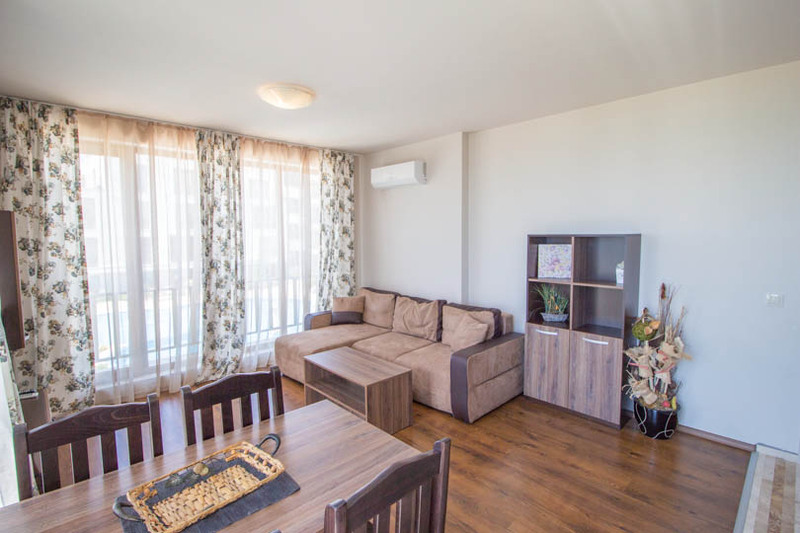 The beautiful French windows provides with enough light and incredible panoramic views.